The Premiere Patio Covers Company In Houston, Texas Says "Hi!" If you are searching for an affordable patio cover, then look no further than Patio Covers Houston. We offer the best service, premium products, and unbeatable prices in all of the Houston and surrounding areas. We believe in our work and are passionate about making our customers 100% happy with the quality of product and performance. Whether you are looking to update your current patio cover, create a custom design specific to your patio needs, or choose from our numerous selection you’re sure to be satisfied with Patio Covers Houston, we guarantee it. Here at Patio Covers, we believe in digging deeper into relationships and having fun. We picture memories being made on your porch with friends and family for generations to come. When we offer our services, we don't just promise good work and great products, but we present an opportunity to recapture what is vital in life, spending time with those you love, under the care and comfort of Patio Covers Houston’s guaranteed work. What Patio Cover is Right For Me? There are several different types of patio covers to consider when shopping to enhance your home. We offer retractable awnings to enjoy when you want protection from the sun or leave back when the weather is desirable. We also provide aluminum latticework, more durable than wood lattice and beautiful all at the same time. 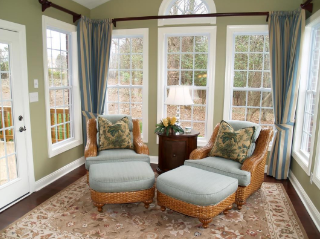 Another affordable option is an exterior roll down shade to use when sunlight is beating in your home or patio and then roll back up when the glare is gone. If you want to extend your home with a sunroom, we would be happy to create a roof that fits the look and feel you desire. And last, but certainly not least, is a complete custom design. We come to your home, and you detail your thoughts and ideas, and then we make your dreams become a reality. Seems pretty cut and dry, but often people go for cheaper or more traditional choices. Commonly patio covers have been made of wood or even plastic. Wood is beautiful when freshly placed and painted, but over time the wood becomes highly susceptible to moisture damage. When the paint starts to peel from all the weather damage, the wood will begin to rot and decay, or even be open space for termites to feast. In the same light, plastic is obviously cheaper but will wear and tear so much faster when real life hits it. These issues are why we use aluminum patio coverings. They are sturdy, durable, and will not succumb to weather damage like other materials. We believe aluminum will meet your needs, and have a timeless beauty for years to come. Trust the best aluminum patio covers Houston has to offer! The patio is an extension of your home, and it needs to look like it. Patio Covers Houston will help you match your new patio design and build to enhance your home's exterior appearance seamlessly while staying within your budget. We know choosing the perfect design can sound daunting due to all the different options available, but we are here to help. If you think about what you want out of your outdoor living space, be it a full fledge shaded area or just a way to shelter for a few hours a day, we are here to help you confidently decide the best choice for your home. ​It adds appraisal to your home. 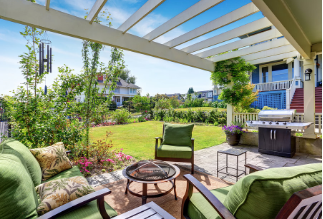 Whether you plan on re-selling your home or not, the benefit of attached patio cover dramatically increases the look, feel, and yes value, to your home. An added patio cover immediately makes the livable capacity in your home that much larger. With sun protection you will find yourself outside more than you ever have before, enjoying your family and entertaining your guests. ​We believe in bringing it back to the basics here at Patio Covers Houston, where fellowship with people and nature are the enjoyment of your day. We hope that when your patio is covered from the harsh weather conditions, you will be free to enjoy rain on the roof, shade on a hot day, or even a fire when it snows, all under the comfort and protection of your new patio cover. 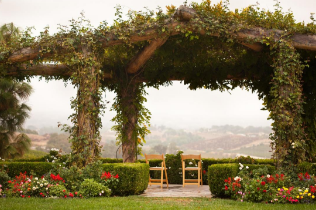 We want you to love your patio cover experience from beginning to end and will endeavor to make sure your patio is all you ever dreamed and more. We strive for professionalism and efficiency throughout our business and our work sites. We have hired a staff that is knowledgeable in patio covers and the installation process, so we cause minimal disruption to you and your family. We will not cut corners. We will do the job right the first time, weatherproofing between house and patio cover, and making sure there are no rough edges or protruding material. When the job is done, we will remove all old patio material and clean the work site back to its original appearance. And in the end, if anything is unsatisfactory, broken, or just isn’t right we will fix it without hesitation because we stand behind our products and our work, and we want you too as well. If you choose Patio Covers Houston, you won’t be disappointed, we guarantee it. Don’t hesitate to contact Patio Covers Houston today to start your patio shelter journey to enhance your home and create a backyard that feels like a sanctuary for your family and your friends.